I saw this pitch and thought I’d put it in the pool. 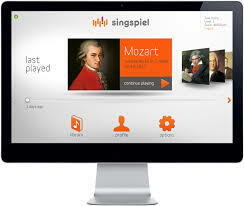 Elevator pitch: Singspiel is music education software that makes regular music practice more effective by leveraging mobile technology to provide coherent feedback to students. Vision: Organize the world’s forthcoming products to make them more accessible while quantifying the world’s level of anticipation for them.